Most business owners have asked themselves “Does my business need a website?”. The short answer is yes. If you own a business, you should have a website. Period. No question. When considering a website for a new or existing business, justifying the cost can be a difficult decision. If you offer products and services to consumers, a well designed website will help convert new business by building trusting in your company. Your website is best venue to promote your products and services in a professional manner. A website helps to keep your clients updated on recent changes in services, new or updated products, special deals and sales. Having this type of information on your website means you spend less time answering questions about what you offer and more time closing business. 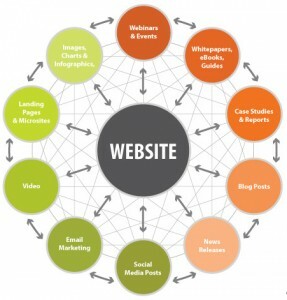 When considering what type of website to launch there are a multitude of available options. Which ever option you choose, be sure to have a professional looking site if you want to be taken seriously. You have 1 chance at a first impression. Website visitors will make their decision about your company within 5 seconds of reviewing your site. One of the great things about the Internet is that it has leveled the playing field for small companies. No matter what size of company you run, you have the ability to show up alongside your competition in search results. As mentioned, you have one shot at making a good first impression. With a well-designed site, your a small operation can project the image and professionalism of a much larger company. Your website is an important part of your business. Make sure you treat it as such and your business will benefit.